Subject: [exopolitics] Time Travel: Egyptian Artifacts supports scholarly testimony of oppressive Manipulative Extraterrestrial infiltrationAloha,below is another interesting article from the online Canadian National newspaper which publishes a range of exopolitical articles. It deals with archeological evidence of extraterrestrials present in Egyptian society. While I don’t necessarily agree that hieroglyphics depict the influence of negative extraterrestrials ruling over society, I do agree that an extraterrestrial presence is depicted. There was very likely a mix of motivations and activities that span a similar spectrum to what I depicted in my ET typology paper mentioned below. 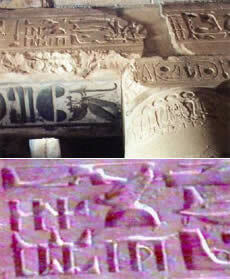 .Photos taken of ancient hieroglyphics on different visits by individuals to Egypt, distinctively show a military-looking helicopter, an aeroplane, a submarine, and even some kind of alien spacecraft.Photos which accompany this article, were further documented to have been taken in 1996 and 1997. Manipulative Extraterrestrial infiltration of Earthbound human society. The glyphs suggest that Extraterrestrials have shown an interest and have demonstrated the capability to rule over humanity. The glyphs also suggest that similar technologies today, that apparently existed thousands of years ago, may have originated from a similar source. Indeed, Dr. Michael Salla has suggested the current existence of military-industrial-extraterrestrial complex that has access to “exotic technologies” which include time-travel. If these technologies existed thousands of years ago, wouldn’t time travel by a related group account for the re-introduction of the same technologies? Retired NATO Commander, Rhodes Scholar, and four-star general Wes Clark – who made a late October 2003 entry in the 2004 U.S. Presidential race following a successful draft campaign – made comments in reference to “time travel” as an important area of research that was quite attainable. Perhaps according to scholarly testimony like Dr. Salla, and other researchers of UFO phenomenon, such technology has already been developed. Bill Hobbs further records that Clark said on the U.S. Presidential campaign trial, that he thinks that time travel is possible and that it will be accomplished. And he strongly implied that as president, he would openly allocate federal money to develop it. Indeed, if such an “exotic technology” was already developed, then the elites who presided over any such technology would be able to evaluate the American public’s reaction to such information. Could time traveling manipulative extraterrestrials that presided over the destruction of previous human civilizations, use time travel as a means of selectively seeking to influence sentient races at different stages of the technological development of various planetary civilizations? In 1848, one of numerous archaeological expeditions working in Egypt discovered strange hieroglyphs at the height of about ten meters right above the entrance to the Seti Temple in Abydos. The walls were apparently covered with the strange signs that greatly puzzled researchers. The only thing the researchers realized at once was that they had discovered some images of strange mechanisms that nobody ever saw before. “The archaeological expedition carefully copied the mysterious signs on the temple walls, and the hieroglyphs gave rise to endless disputes and heated debates among Egyptologists. As a result, majority of Egyptologists arrived at a conclusion at that time that there were just strange objects drawn in different variations,” documents the Russian newspaper Pravda. Researchers of the 19th century failed to understand what ancient Egyptians actually drew on the temple walls. Like any sensation the mysterious Abydos hieroglyphs were absolutely forgotten some time later. The respectable Arab newspaper Al-Sharq Al-Awsat published several evocative photos taken in the Amon Ra Temple in Karnak. At that, the newspaper asked its readers whether they believed that ancient Egyptians knew about battle aviation. The photos showed an ancient artist(s) engraved a battle helicopter with a distinct rotor and a tail unit. Nearby, the artist depicted several other aircrafts astonishingly resembling contemporary supersonic fighters and heavy strategic bombers. 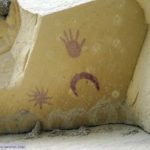 “After the thought provoking publication of the photos it became clear why Egyptologists of the 19th century could not tell what was depicted on the walls of the temple in Abydos.” . Indeed, the nineteenth century researchers did not know how helicopters and aircrafts look. Well-known Egyptologist Alan Alford left to the Nile banks to study the Abydos mystery. The researcher studied the mysterious hieroglyphs and made sure that what seemed absolutely incredible was in fact quite real. Alford told journalists that ancient Egyptians had depicted a real helicopter model as if they made the engravings from life. Some of the depictions by artists thousands of years ago, are still apparently unknown. These photos were met with the usual attempts by operatives of a modern era, who are paid by the Establishment, and who operate in a cloak of secrecy, to spin an accompanying web of deceit and dis-information. These photos are further accompanied by archaeological findings in Egypt of alien skulls attributed to an oppressive apparent human-extraterrestrial hybrid race. 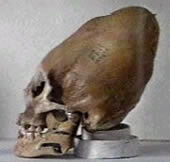 Professor Zecharia Sitchin’s research further supports eyewitness accounts by indigenous and other peoples, about numerous skulls of human-extraterrestrial hybrid race that have been photographed. Joel Mills in the process of producing the CD-ROM “The Secrets of Stargate.” sought to collect photographs of giant skulls of apparent human-extraterrestrial hybrid races. These skulls were later apparently censored from the producing of the CD-ROM. Mr. Mills believed that these alien skulls and related artifacts proved that original Stargate film (1994) of an interstellar time teleportation mechanism could be not simply some sort of science fiction fantasy (see below video). Posing as gods, Manipulative Extraterrestrials were presented as enslaving the inhabitants of ancient Egypt, creating its culture and religion. These malevolent aliens were presented as using Stargates to move labourers from Earth to other habitable planets. The aliens were also depicted as being forced to flee Earth following a successful rebellion by the humans, and the Stargate was buried and forgotten until its rediscovery in Giza, Egypt, 1928. Adolf Hilter has been historically documented as being a member of the UFO oriented Thule society, before his rise to power. Nazi Germany was allegedly inspired from his contacts with representatives of alleged Great Pyramid inspiring Extraterrestrial “Aryan” civilizations. This has been documented in the article titled, “The Aliens of the Golden Dawn”. Did the same group of time-traveling Extraterrestrials that provide military technology that were drawn on the Egyptian glyphs, also seek to funnel technology to Adolf Hitler’s Nazi Germany so as to effectuate an agenda to run planet Earth as “Aryan” custodial gods, over the enslaving of humanity? Local guides in Peru explained their church leaders feel the skulls of apparent ancient ruling castes of human-alien hybrids, are “the work of the devil”, and the offspring of the fallen angels in the Bible. With this in mind, learned scholar and author John Lash in Metahistory.org documents ancient Gnostics as seeking to warn humanity about intelligent inorganic life possessing demonic consciousness that were presented in Gnostic cosmology to be Archons or “fallen angels”. Findings prove that the Archonic rulers of these apparently technologically advanced societies, shared the common bond of huge skulls and brains that probably provided them with highly developed intellectual capabilities. This information has been allegedly shared by secret societies and religious leaders for hundreds of years. These pictures have been described by viewers as showing “proof of beings from another world” interacting with humans. Egypt’s King Akhenaton and his daughters were allegedly proud of their “distinct features” (elongated skulls) and the true facts of this royal family are shrouded in controversy. Some historians paid by the Establishment to create dis-information, pointing out that the giant skulls of this family are simply a deformity caused by inbreeding. Others discount this and claim that it is the art styleof the Armana period. Ignatius Donnelly in his book entitled Atlantis – The Antediluvian World explores historical accounts of a Continent that existed in the middle of the Atlantic Ocean that sank into the sea. He documents that before it sank, the apparent Human-Manipulative Extraterrestrial hybrid rulers left for Egypt, Mexico and Peru and became rulers of newfound apocalyptical empires with Great Pyramids, that were based around oppressive religious-militaristic cults. He found information about elongated apparent alien-human hybrid skulls hidden in the Library of Congress in Washington. Perhaps “the sinking” of Atlantis had something to do with a military attempt of these alien-human hybrids to seize and take control of Atlantis as an allegedly highly advanced human civilization? Former Peruvian President Alberto Fujimori had advocated the release of official photographic documentation of the apparent skulls of an alien-human hybrid ruling caste. “these unusual skulls could be found in many museums in Peru and excavations were uncovering them even now near the Nasca Plateau.” . Brad Steiger’s book entitled Worlds Before our Own presented evidence that previous earth civilizations were destroyed possibly by very sophisticated nuclear weapons, in a catastrophic war on Earth of intergalactic proportions, involving different alien civilizations . If this is the case, then these glyps corroborate Dr. Salla’s research of a military-industrial-extraterrestrial complex that once again may be taking humanity into a path of planetary destruction for whatever alien agenda might exist. Dr. Salla in “A Report on the Motivations and Activities of Extraterrestrial Races – A Typology of the Most Significant Extraterrestrial Races Interacting with Humanity” in Exopolitics, revised January 1, 2005 documents that Clifford Stone, a retired U.S. army Sergeant who served in the U.S. Army for 22 years and participated in covert operations to retrieve crashed extraterrestrial ships and extraterrestrial biological entities (EBE’s), revealed there were a total of 57 extraterrestrial races known by UFO and Extraterrestrial dis-information operatives. Indeed, if there are, for example, baseball and football players as well as track and field stars, who are willing to sell out their personal health by taking steroids in order to get more money and in their apparent view, “more glory,” just think how many corrupt human politicians, in turn, would be correspondingly willing to similarly sell out their soul to manipulative aliens in their quest for their sought prize of short-sighted planetary power. 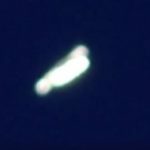 Mr. McKinnon uncovered what he indicated appeared to be orbiting alien spacecraft, that would then be systematically airbrushed out of high resolution satellite images. Could nuclear weapons itself, which human elites now seek to threaten Iran toward a global nuclear holocaust, also have been introduced through human elite collaborations with manipulative alien toward a global conquest agenda? Secrets of the Lost Races writer Rene Noorbergen reveals scientific research on ancient Pyramids that have been in turn linked to Human-Extraterrestrial hybrid races, have also demonstrated traces of nuclear radiation consistent with a pre-historic nuclear war. In South America the Brazilian ruins of Sete Ciddaes are enormously revealing. Author Noorbergen in Secrets of the Lost Races writes of “ruins melted by apocalyptic energies…”! Elsewhere, in Mesopotamia sizeable ziggurats – a form of early pyramid – have been found melted to their base in a vitrified mass! “In the Arabian desert blackened stones litter the sands over a wide area, showing signs of having been subjected to intense radiation. In Israel the location of the Dead Sea and it’s mysterious connection with Sodom and Gomorrah bears evidence of an amazing focus of heat that is thought to have gouged out the entire area in a massive explosion. Erich von Daniken’s Chariots of the Gods? 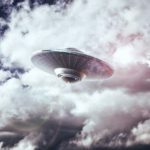 has presented theories of ancient astronauts constituting a possible intergalactic alien invasion force, landing on Earth. Von Daniken links Great Pyramid like structures on Mars to similar looking Great Pyramids on Earth, as the alleged basis of fascistic alien colonies on Earth. 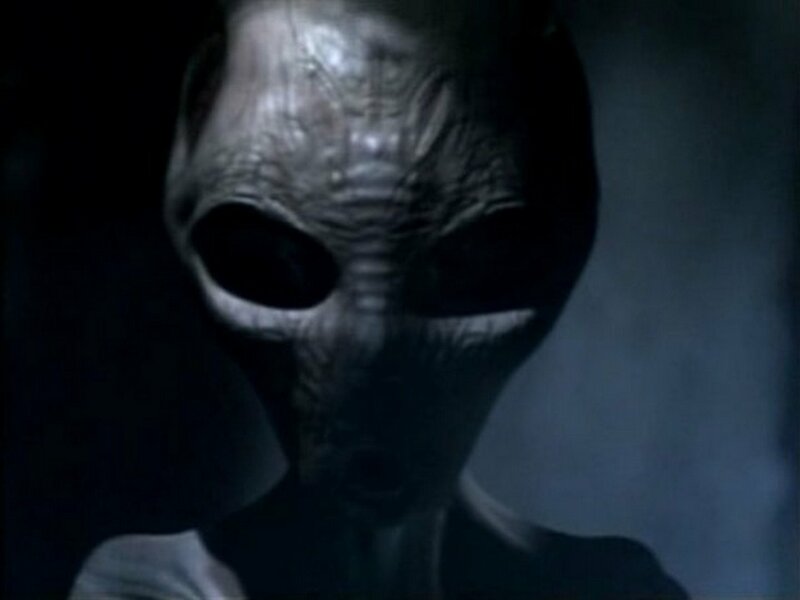 The well-documented humanoid face on Mars – that has apparently been also subsequently subjected to elite-directed air-brushing toward an alien disinformation campaign – has also been cited as evidence ofmalevolent alien migrations to Earth. Rene Noorbergen further documents charred ruins to be found between the River Ganges in India and the mountains of Rajamahal. Also in this same region a human body was discovered with a radioactivity “which was fifty times above the normal level”. Apparent skull of alien-human hybrid ruling caste of ancient society are reportedly prevalent in Peru, and have also been found by researchers in Egypt. Mr Lash in Metahistory.org documents, says that Gnostic research uncovered intrusion by intelligent inorganic Manipulative Extraterrestrials that are native to other planets in Earth’s solar system that sought to instigate violence among humans in a “divide, conquest and rule” agenda. Manipulative aliens through opportunistic time periods of terrestrial conflicts on Earth, would likely find many zealot human elites willing to do anything in order to acquire military technology to destroy each other for their own conquest agenda with “hybrid” confederates. Mr. Lash documents the extent to which alien-inspired organized religion has provided a context for sowing bigotries, and an ensuing culture of violence, that can “ripen” into the kind of militarism which now shapes American foreign policy. The so-called “War on Terror” could be in fact a Manipulative Extraterrestrial ruse for an evolving alien agenda, against human rights, spiritual free will, and sovereignty. 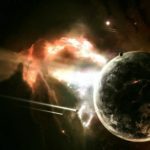 Appreciating Manipulative Extraterrestrial intrusion on the development of human civilization could very well illuminate such catastrophes from the Holocaust against the Jews, the genocide in Rwanda where human elites turned their back on, and on-goings acts of oppression and barbarity on our planet. Mr. Lash cites Gnostics as having illuminated that individuals who seek to appreciate Manipulative Extraterrestrial infiltration of Earthbound human society must introspectively come to grips with what it means to be human. After doing that through a process of critical inner spiritual reflection (free of externally imposed alien inspired organized religious dogma) individuals can readily be able to also detect Manipulative Extraterrestrial infiltration. Adult human beings can observe the human spirit in its rawest form as being manifested in the newborn infant that smiles and that seeks to reach out to other human beings in a spirit of empathy, free of bigotry and the violence, that has been conditioned through alien-inspired organized religions. Extraterrestrial infiltration of humanity is evident among subsequent development of certain constituencies of human beings who are driven by exploitation, greed, and violence, and who then seek to oppressively lash out at other human beings to perpetuate their alien-induced exploitation agenda. 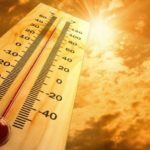 Brad Steiger suggests that humans must learn the mistakes committed in the past in an apparent previous cycle(s) on nuclear and general apocalyptical destruction, in order to avoid humanity being once again manipulated into an elite-inspired agenda of exploitation, oppression, and destruction.